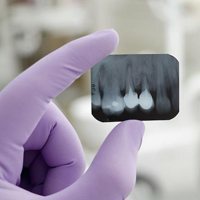 Even though we're all susceptible to the same oral health problems, the truth is that every patient's needs are unique. At Laith Family Dentistry in northwest and central San Antonio, we recognize that fact -- and we do everything possible to offer our patients personalized service. That's why we offer a comprehensive range of today's most effective family, cosmetic, and restorative services. Whether you just need help with a basic checkup and exam or you need help with a more advanced service, we're happy to be of service. Through close attention to detail, and using our advanced expertise, your dentist in San Antonio will help you create a treatment plan that meets your needs. Rates of oral cancer are on the rise in the United States, and the need for routine screenings is higher than ever. Getting yourself checked for oral cancer regularly is the best way to ensure that if the disease is detected, you can benefit from early treatment which provides the highest likelihood of success. An oral cancer screening is a simple exam which can be completed at the end of a checkup and cleaning. 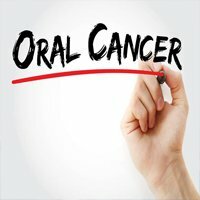 Most adults should have one oral cancer screening per year. 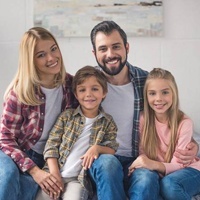 At Laith Family Dentistry, we offer preventive dentistry to families in and around San Antonio at our central and northwest dental offices. For optimal oral health, we recommend that patients of all ages see us twice a year for checkups and cleanings. Through regular appointments like these, we can help you track your oral health. If we find any problems, we can recommend a treatment plan to help you address them as soon as possible. Do you wish you had a more attractive smile? Our San Antonio team can help you make your dream a reality after you have achieved optimal oral health. Using today's most popular cosmetic services, we can help you brighten your teeth and more. You will enjoy improved confidence and well-being with your revitalized smile! At some point, most of us will need a little restorative help. You may have a cavity, for instance, or you may be missing one or more teeth. At Laith Family Dentistry, we will assess your needs and help you create a personalized treatment plan that restores your health and well-being using the latest tools and technology. While our team’s goal is to save your teeth whenever possible, sometimes extraction is the best option for your oral and overall health. In these instances, we are at the ready with expert oral surgery services including anesthesia which makes you feel completely comfortable and at ease. Plus, state-of-the-art technology like the Panorex X-ray can help provide the most informed treatment planning. If you are ready to schedule an appointment with our team, do not hesitate to get in touch with one of our two conveniently located offices. Our San Antonio dental team is happy to serve the needs of children and adults through comprehensive general, cosmetic, and restorative care. Don’t wait to visit your dentist in central San Antonio or northwest San Antonio!